Todays cartoon is above Shrove Tuesday / Pancake Day the traditional day when you can't buy pancake mix from the supermarkets because they're sold out. 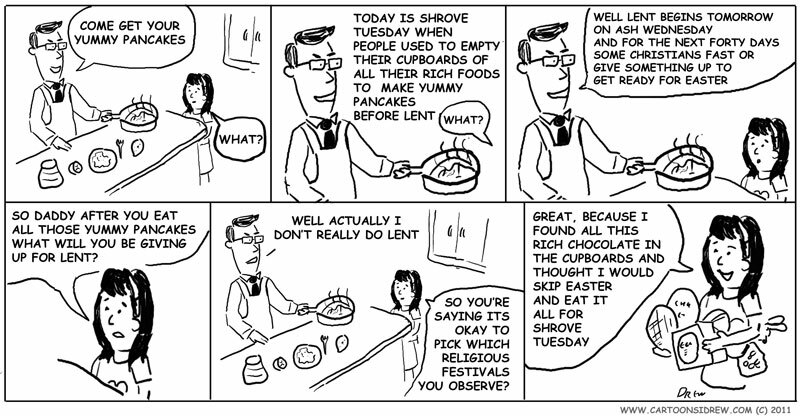 If you're religious it's a bit odd celebrating Shrove Tuesday but not Lent. If you're not then it's just an excuse to eat yummy pancakes.